A & A Control is leading full suite SCADA services and product company addressing needs for Real Time Platform Systems implementation and integration. We have over two decades of experience providing services from concept to commissioning for Oil & Gas Pipelines and other asset-based mission critical industries, as well as offering a cutting-edge complementing and scalable product portfolio. To become the leading company with authority in the SCADA, Realtime Applications Services and Products Ecosystem, while building optimum value for customers, employees and communities. To help maximize utilization of assets with safe, secure and efficient operation by bridging the gap in selecting & implementing the right technologies with domain expertise. Improve your business’ efficiency, reliability and operational performance with our Consulting Services. Benefit from our proven expert services to cover control-room to board-room engagement and maximize your ROI, mitigate risks and benchmarking. We are your trusted partners in helping your business to accomplish your growth, goals and objectives. Benefit from our project engineering, design and execution services capabilities – spanning the lifecycle of the project, from Specifying, Evaluation, Detailed Design, Execution and Start-up and commissioning support services. All enabled by our world-class project management and service delivery teams. We manage your project, providing the peace-of-mind value to you and your operations. Proactive SCADA maintenance program that keeps your controls system running optimally. Our AA4Care SLA is designed to offer the assurance that the system exceeds customer delivery expectations for operational benefits, efficiency and reliability. All pipeline industry must compliance with Pipeline and Hazardous Materials Safety Administration regulations (PHMSA). To have safe and compliance operation we help our client to perform audit and work together to do gap analysis and overcome and shortages. We help you to architect data transfer between systems and perform analysis of your data. Our expertise in software development help you to build customized application for your need to interface between your different system to optimize data usage. SCADA system logs event for every alarm, controls, changes and abnormal activity. Which can be very useful data to troubleshoot for the operation, system or field related observation or issue. To filter out necessary information can be like finding a needle in the haystack. 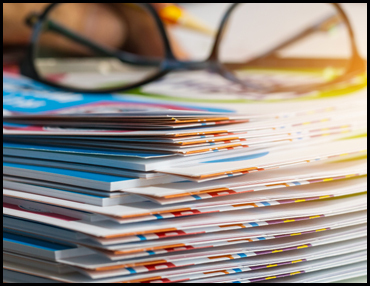 Our event report makes very easy to find and filter information which you are looking for which helps our client to save time and provide information to user outside the control room to have data access. Thin client base Historian system which interfaces with your SCADA History database and eliminates needs for duplication of massive history database. 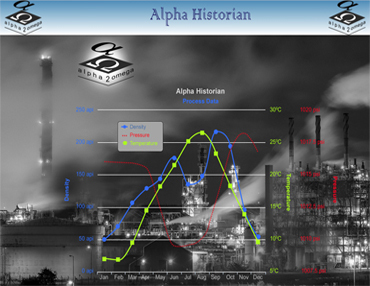 Provides easy access of Historical data with personal user profile for each user. No need for special software install on user workstation and seamless connectivity over enterprise network without compromising any security of your control network. As your company grows or adds more automation at RTU, you will see the same growth in your SCADA system also. With growing pains sometime, it is very hard to maintain the SCADA system database and display. 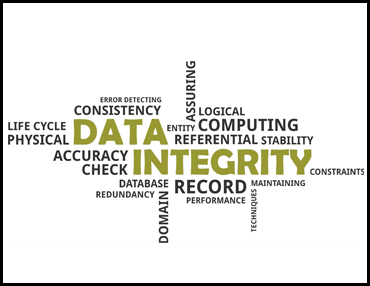 Deleting database points can jeopardize the database integrity. The SCADA analyst has to confirm that these points are not used anywhere in other point(s) as reference and it does not exist on any display, this can be very cumbersome task. Our customized database verification tool will help you to rest, assured that you are not deleting any production point which are linked on display or other database point. A & A Control has exclusive partnership with HawkVue LLC. HawkVue is a privately held California based startup company that has focused on providing solutions that can help mission critical application. HawkVue team has spent last 4 years in building and creating patented innovative solutions. Collectively team has worked in Oil & Gas, Medical, Gaming and technology domain during last 25+ years. They bring a unique combination of entrepreneurial innovative mindset with mission critical application design. A & A Control has exclusive partnership with Ecolibrium Energy for Oil and Gas market in North America. SmartSense Predictive Data and Productive Assets empowers enterprises to Improve their Asset efficiency with IoT power predictive Analytics. Helps reducing unscheduled downtime, Untracked inefficiencies in equipment and product process, provides Realtime KPI dashboard and pressure on becoming more sustainable in the production process. A & A Control and DNR has partnership for Oil and Gas market in North America. Jointly A & A Control and DNR excels in providing end-to-end process automation solutions for Terminal Automation and Tank Farm inventory management system. Customizing our proprietary software programs to plug the communication gap between our clients' plant and field operations and their ERP system to provide a complete overview of operations in real time. Copyright ©2018 A & A Control System. All rights reserved.